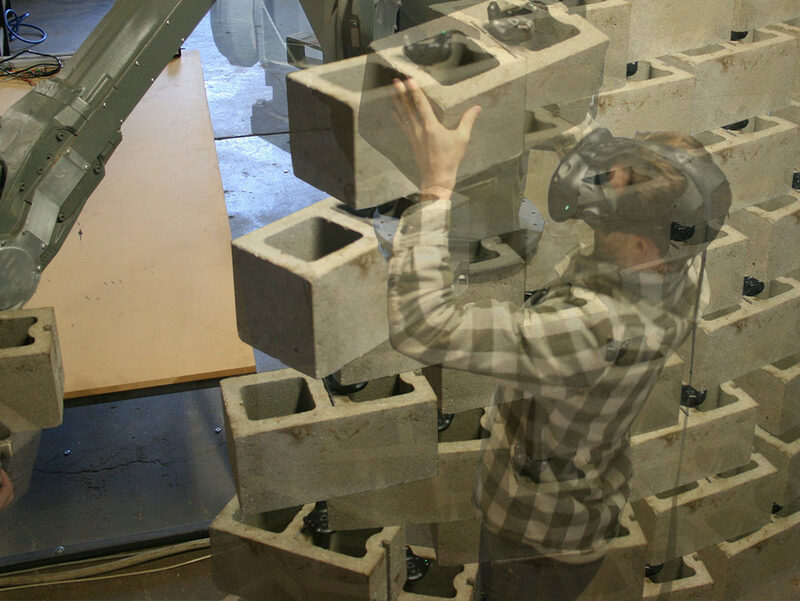 This workshop will engage a combination of virtual reality, augmented reality and robotics to produce immersive environments for collaborative design and fabrication. 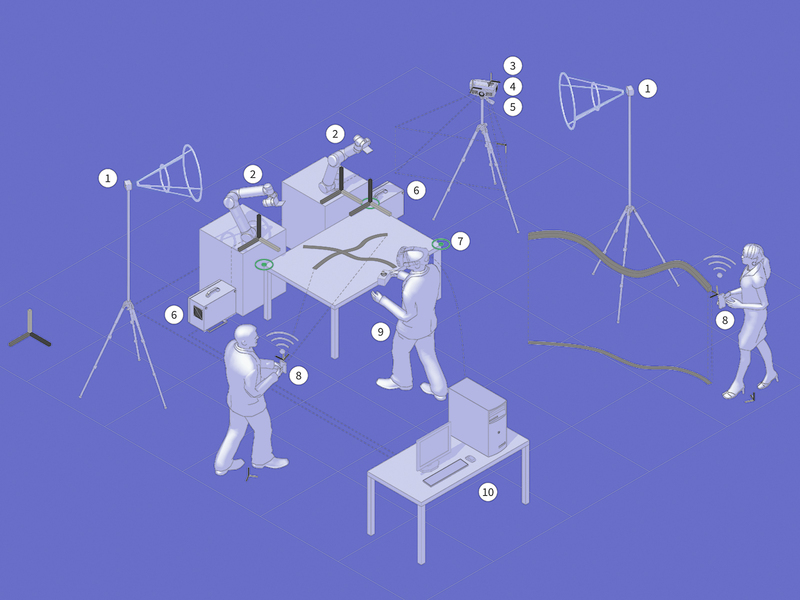 Through the calibrated coordination of local robot coordinate systems with those of immersive virtual reality rigs (HTC Vive), handheld augmented reality devices (mobile phones with ARKit & ARCore), and digitally projected content, we use robotics to stimulate human action through haptic feedback and virtual fixturing. 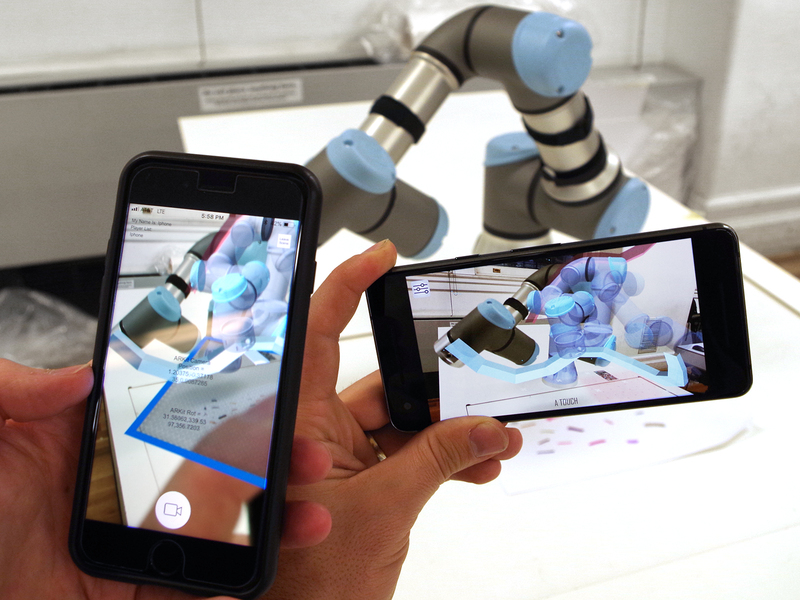 While tools for computer visualization and digital fabrication have conventionally been used sequentially (resulting in an inherent divide between creative discovery and actualization), emerging collaborative interfaces which combine robotic and human capabilities have the potential to reconnect design exploration with materialization. This workshop will examine various modes of human-robot collaboration through the development of a game-like and continuously-evolving environment. Participants can expect to learn the underlying principles of robotic feedback and control, in addition to strategies for the calibration, communication, and synchronization of many disparate technologies. We will discuss novel methods for coordinating projectors, cameras, mobile devices and virtual reality headsets with a variety of robotic actuators. Workshop participants will get hands on experience with these interactive tools, and assist with the concept development of one (or several) working demonstrations. Prior experience with Processing (Java) and/or Unity recommended, but not required.